For a short time, Seller offering $10,000 in closing costs for buyers using affiliate DHI Mortgage for financing. 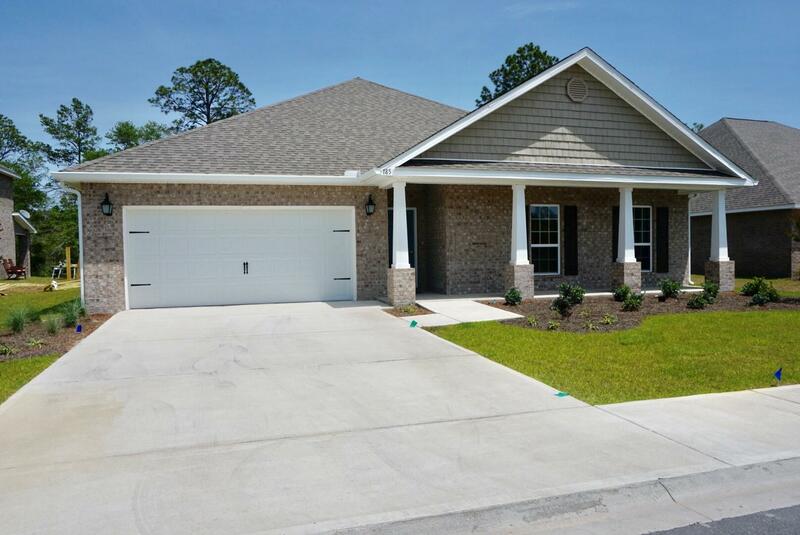 Elegant and functional one story ranch style home in Phase IV Peach Creek with front porch. The Victoria is an open concept floor plan with beautiful kitchen island overlooking large living room. Master suite tucked away for privacy. Large 4 piece master bathroom with water closet and walk in closet. Additional bedrooms and kitchen on opposite side of home from master. Home features covered porch in rear of home. Lot backs up to green space. Finishes include ivory painted cabinets, granite countertops throughout, stainless steel Frigidaire appliances, engineered hardwood floors in common areas, kitchen/dining/living areas, carpet in all bedrooms and tile in bathrooms.